Building your credit is simpler than you think, but it does take time. Your credit score is one of the most important numbers in your life, so it’s time to focus on making it stronger. Having a good credit score can secure you lower insurance payments, a better apartment, or even get you a lower interest rate on loans, so it is incredibly important. If you don’t know what your credit score is, you won’t know how to fix it or if there is a problem. You should check your report at least once every year and report any mistakes you find on it. You can check your report annually free of charge with each of the major credit bureaus. If you do this every few months, it helps you stay on track and keep mistakes at bay. Late payments and fees are a killer on your credit report. If you struggle with paying all of your bills on time, it may be wise to set up automatic payments. These payments will deduct from your bank account or credit card on whatever day you specify and pay your bill automatically. You won’t have to worry about forgetting to make a payment ever again. Just make sure that you always have enough money to pay the bill available. You don’t want to have to deal with an overdraft charge and late fees on a bill at the same time. You shouldn’t apply for multiple credit cards all at once. For every “hard inquiry” that is made, your credit score will drop a few points. When you apply for a credit card, the company you apply with will make a hard inquiry. Credit cards hard inquiries are assessed differently than a mortgage hard inquiry. Most people don’t hold more than one mortgage, so shopping around won’t have as big of an impact. On the other hand, most people have more than one credit card, so having multiple inquiries indicates that you are borrowing a lot of money, which may indicate that you are a bigger risk. If you have debt, pay it off as quickly as you can. 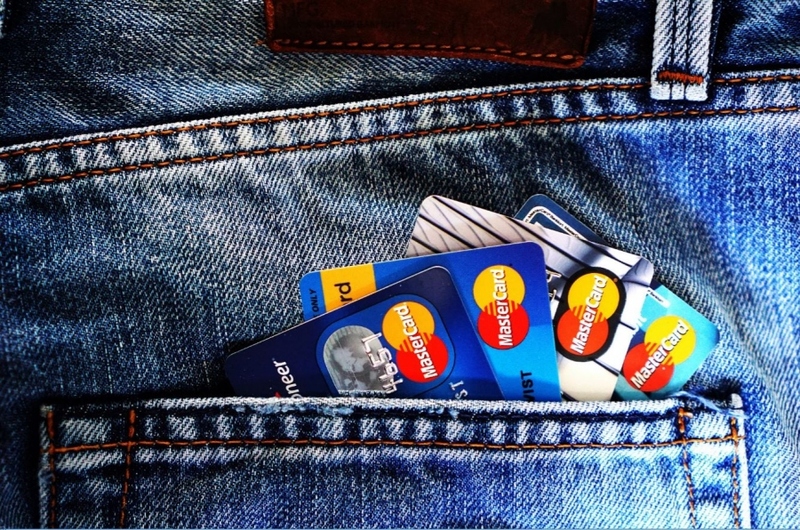 If you have multiple credit cards, start with the one that has the lowest amount. Continue to make the minimum payments on the rest of your cards, but put as much as you can into the one until you have eliminated all of your debt. Then move on the next one. Once you have managed to pay off all your debt, you can focus on using your cards wisely. If things are really bad, you can always consider declaring bankruptcy. While bankruptcy isn’t necessarily a mistake, this is something you should think about seriously before you do. While it will help you get out of debt and set a clean slate for you to start over, it will tank your credit score and remain on your credit report for a long time. However, according to Want a Fresh Start, if you declare Chapter 13 bankruptcy, it will be less harmful than a foreclosure or Chapter 7 bankruptcy. It is important that you consider all of your options carefully before you act. Resist the impulse to cancel any of your credit cards that you have paid off. It may seem like a good idea, but in the long run, it will hurt you more. You should try to avoid using more than 30% of your available credit limit, and canceling cards, while you are still trying to pay off your debt, will lower that limit without necessarily lowering your debt. Instead, use each card only a few times a month and pay it off in full when it comes due. This will help you build your credit, without pushing you back into debt. Your credit score may seem like an incomprehensible number, but with hard work and smart financial planning, you can get it up to where you want it to be. Talk to a financial advisor and set a plan to get there.